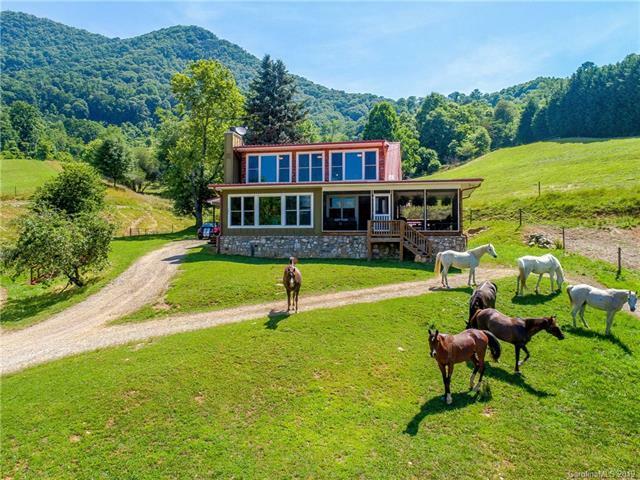 WHOA...Check out THIS horse farm! 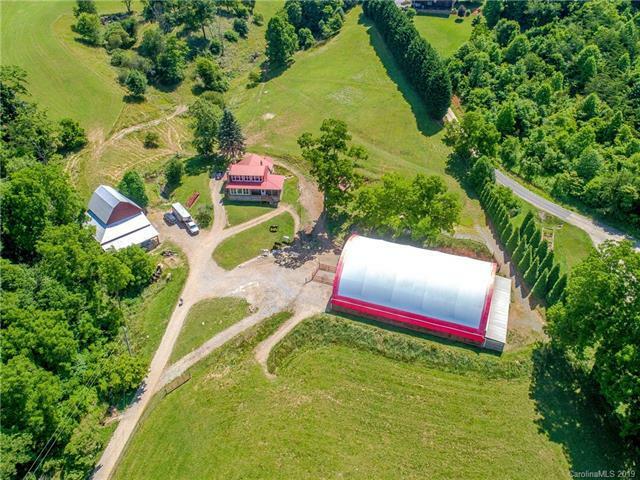 Gorgeous 20-acre equestrian property. 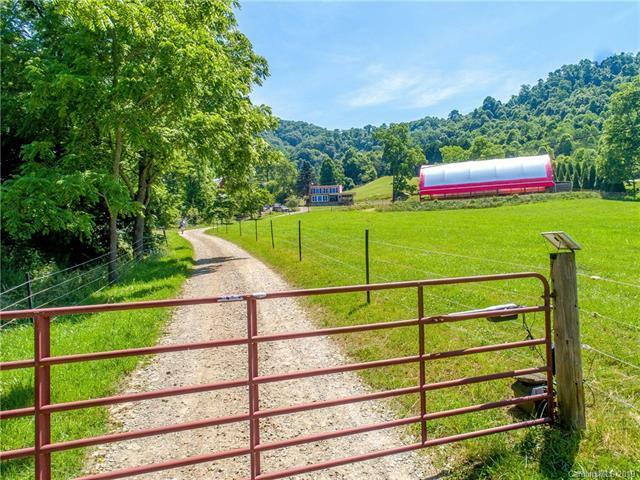 Charming & completely modernized farmhouse offers open floorplan & massive windows on both levels affording year round views of the surrounding mountains & the pristine pastures. With oak floors & trim throughout, fireplaces, built-ins & master + laundry on the main, this expanded & updated home retains farmhouse charm but with conveniences & sensibility of a more modern home, with wiring, plumbing, septic & heat pump updated. Enjoy the roomy screened porch or the covered front porch. 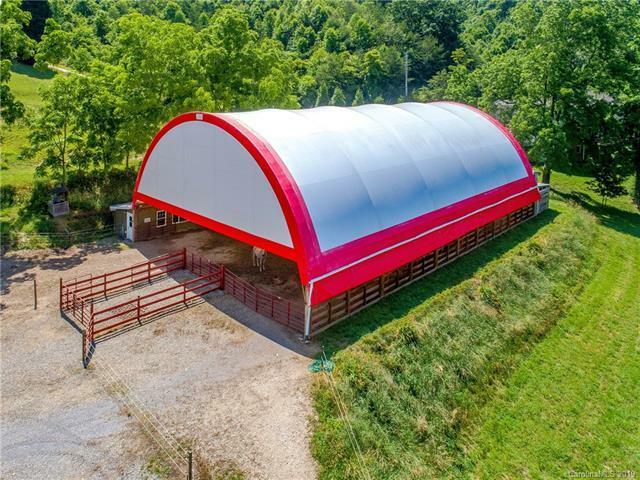 18 acres of fenced pasture set up for rotation, a 10-stall barn (easily expandable to 20+), 65X100 covered arena, wash rack, feed & large tack room, barn for hay & equipment + heated studio/office. Unrestricted acreage with potential for more building sites. An easy 2+ mile drive to I-40 & just 20 minutes to Asheville. Note that 4th bedroom accessed thru adjacent bedroom upstairs. No drive-bys please - listing agent to accompany. Offered by Dixonpacifica Real Estate. Copyright 2019 Carolina Multiple Listing Services. All rights reserved.